This entry was posted on 28th August 2018 by Marci Cornett. 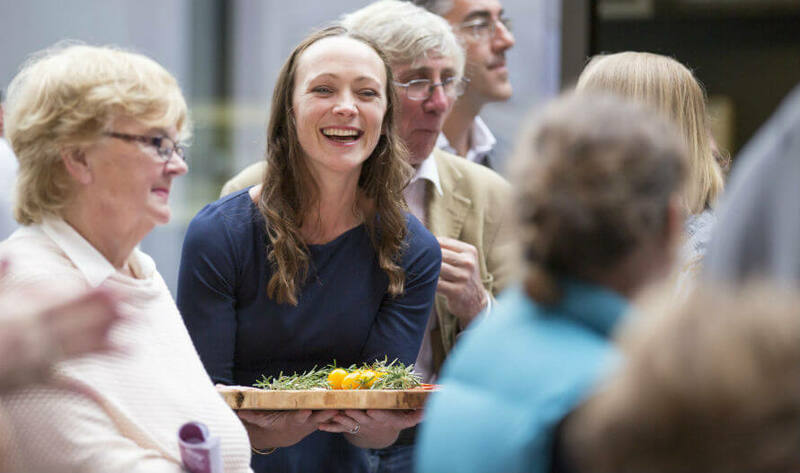 It’s that time of year again—time for A Taste of West Cork, a food festival that encompasses over 250 events throughout 49 destinations in West Cork. We’re thrilled to be part of this year’s festival with our own calendar of events taking place in Organico. We have so much to share with you. Join us for all the great flavours and ideas this festival brings, courtesy of our incredible local food producers. We’re marking both Fridays of the festival with a special Taste of West Cork plate in the café. The plate will be filled with an assortment of products from our local producers and it includes a glass of organic wine. Have a wander around Bantry Market, then join us in the café to relax while you taste a few of the region’s best products. 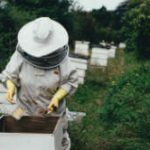 Jerry Cronin, our local expert beekeeper, will be diving into the fascinating world of bees and beekeeping. Bees are a critical component in our food chain, but their survival is in danger. Join us to learn what we can do to support the subsistence of bees. You’ll get to enjoy a cup of coffee and take home a jar of Jerry’s delicious locally produced honey. This is your chance to pick up essential advice and answers to your gardening questions about growing herbs from knowledgeable gardener and book author Greta McCarthy-O’Brien. The workshop will focus on growing techniques and include Greta’s tips on cooking with herbs. 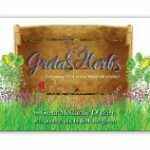 Her book, Greta’s Herbs, Growing Wild in the West of Ireland, will be on special offer of €10 during the event—another brilliant reason to join us. How can a coffee expert improve the brew you make at home? 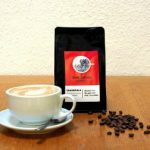 Find out when you join Shane Kelleher, Organico’s very own coffee supplier and owner of Red Strand Coffee. Shane will take us through his methods of creating superb coffee with a French press, Aeropress and stovetop espresso machine. Don’t miss this chance to ask Shane your coffee questions and taste his magnificent brews. 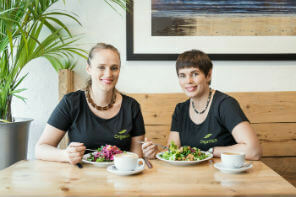 At Organico, we love how the café and shop allow us to connect you with West Cork’s amazing local food producers on a daily basis. So we decided to take this a step further and give you the opportunity to meet our wonderful artisan producers face-to-face. On this special evening, Hannah and Rachel Dare invite you to mingle with dozens of West Cork’s local producers. 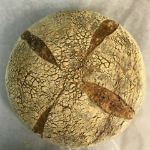 You’ll get to know the faces behind the food while you sample their goods and enjoy a glass of organic wine or kefir. 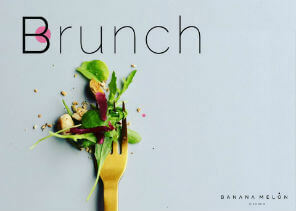 Vegan chef and food stylist Suzanna Melinn of Banana Melon Kitchen will be treating us to a vibrant, beautiful plant-based brunch. Suzanna creates unique menus that burst with vivid colours and imaginative combinations of nourishing whole foods—they're just gorgeous on the plate. Her food pleases the mind, the body and the tastebuds. Brunch includes a main, a dessert and a coffee, and there will be prosecco cocktails as an optional extra! We're so excited about this year's events and all the food producers who will be sharing their talent and knowledge with us. And we really look forward to having you around so we get to learn, discover, connect and—most importantly—enjoy A Taste of West Cork together. Congrats. to Hannah, Rachel, staff and yourself for organizing such a comprehensive calendar of events to coincide with A Taste of West Cork. Are there any places left for Thursday’s food festival? If so, I would like to attend. Thank you.